Google Daydream VR gets a power up with incoming standalone headsets from HTC Vive and Lenovo! The most interesting new hardware announcement at Google I/O 2017 was reserved for Google's Daydream VR platform. And contrary to what we expected it wasn't anything to do with Google's own existing Daydream headset - but the announcement that new Daydream headsets are incoming from HTC Vive and Lenovo. Exciting! What's more, Google announced these will be part of a new category of VR devices, standalone headsets. 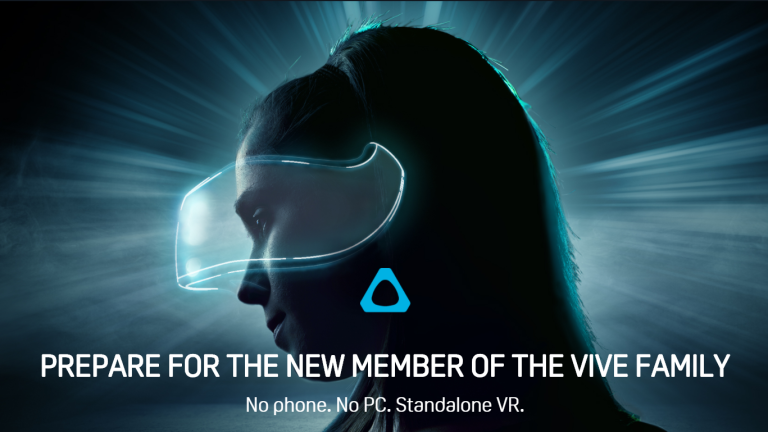 In other words, the new headsets won't need a phone inside them - or to be tethered to a PC. So the new Daydream headsets will be rather unlike the existing Daydream or Vive headsets as a result (though let's hope they're as confortable as the existing Daydream headset). Rumours swirling around the internet suggest that pricing will be broadly similar to, say, the Oculus Rift, so around £500 GBP/$600 USD. Interestingly, these new headsets will track space using WorldSense, a new technology based on Google's Tango AR tech. In related news, Samsung were also signed up as a surprise new Daydream partner. Samsung has very publicly backed the Facebook-owned Oculus platform via its own Gear VR headsets. The Galaxy S8 and S8+ will support Google Daydream via a forthcoming software update. We think it's only right and proper that all the best Android phones should support Daydream. Qualcomm has worked with Google to produce a reference design for Daydream standalone headsets, based on Qualcomm's own Snapdragon 835 VR platform. The semiconductor giant announced last year that phones featuring the Snapdragon 821 and 820 processors can also support Daydream VR.